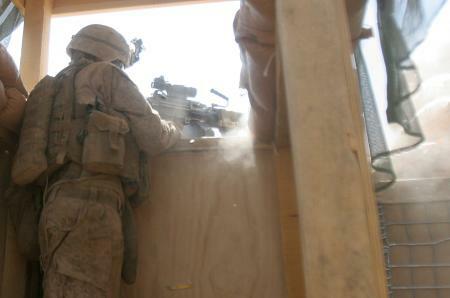 It’s back to the future in northern Helmand province, Afghanistan. Nearly a year after Marine forces pushed into new, violent areas in and around Sangin district, Maj. Gen. John Toolan will deploy British forces later this year to Nahr-e-Saraj district and the upper Gereshk Valley, according to this report in the San Diego Union-Tribune. The British will take over for the 3rd Battalion, 4th Marines, out of Twentynine Palms, Calif., which will be among the first U.S. units not replaced in Afghanistan as part of a gradual military drawdown there. The Brits, of course, had operational control of Sangin before elements of 3rd Battalion, 7th Marines, out of Twentynine Palms, took over for them there last summer. Marine officers in Afghanistan quickly overhauled the strategy in Sangin, spreading out 3/7 and — later — 3rd Battalion, 5th Marines, in the insurgent stronghold. Dozens of Marines died there last fall and winter, but Marine officials say gains have been made. Having the Brits help us in this long war is encouraging. We welcome our allies in the continuing struggle to kill insurgents and terrorists. The Britts had a compound there that was lost to the Taliban a couple years ago. The Marines have taken control of the area and that compound again (at the lose of several men). The Britts are returning. That is so true…but I bet the 3/4 made this assignment for the britts one that will be more successful. We do love our 3/5 men. They sacrificed a lot for that area! We send prayers to all of our men/women that have been there and are there now. We are so proud of all of you! Thank you to all of the other countries that have helped as well. We stand strong and Salute all of our Military! My brothers over there did a great job! Now that the Brits are taking over for us I just hope they keep the fight up as strong as us Marines do. If we loose ground over there again, the Marines will have to go back in to get it back. God Speed to all you grunts over there replacing the units in Sangin and Musa quala. God knows I wish I was there this time around to.